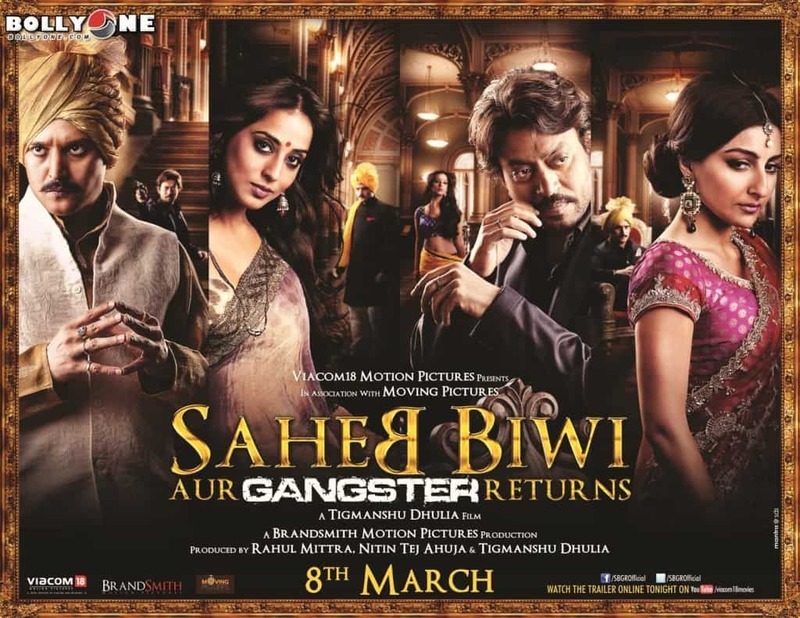 Saheb Biwi Aur Gangster Returns (2013) Review: A Bollywood romantic thriller drama film directed by Tigmanshu Dhulia. It is the sequel to the 2011 film “Saheb Biwi Aur Gangster”. Starring Jimmy Shergill, Mahie Gill, Irrfan Khan and Soha Ali Khan. Tigmanshu Dhulia makes you feel ‘wanting more’ and ‘more’ of the ‘ghamasan’ sequel. Better than the prequel- which is rare in Bollywood and laced with all the balls a movie in Indian context can have for gangs and backstab stories, the trio rocks. Storyline: The Royal Scandal, the war for power and fight for money continues with the return of Saheb Biwi Aur Gangster. Perfect with the story and perfect-in-the-head logic of love, explained by the introduction of new characters while the old ones get a more rejunvated avatar, the love story overwhelms each and all. I was not prepared to watch so much of dark humour and badass shootings, though the promo had planted the right climax and one had to be prepared to see shoots and blood out of nowhere. This sequels simply amazes you with the accuracy and the timing of each dialogue and boom-boom, bang-bang. 145 minutes of non-blinking gaze at the screen. Saheb, Biwi aur Gangster’ ends with Madhvi (Mahie Gill) – the Biwi – killing Babloo – the Gangster (Randeep Hooda). Aditya Pratap Singh (Jimmy Sheirgill as Saheb), meanwhile, is paralysed waist down from a gunshot. Madhvi takes over the politics of the area and seals sympathy votes in her favour, and consequently is elected the MLA from her territory. In walks Gangster (Irrfan Khan), also of royal lineage, who is determined to settle scores with Saheb. Four main characters in the film are portrayed as multi characters and vicious. They are deadly in their own ways and not exactly the aam-aadmi. There is our synopsis. For the rest- go watchhh! and a king – he plays them all effortlessly. Background score by Sandeep Chowta stands out. The dialogues are here to stay and copied-from for a while. Music not as good as the movie! 😛 Mugdha Godse’s item number was horrible. This is a complex film, seriously. Not for the ones who don’t possess a good taste in movies. Not dragging for even a minute, this movie starts and completes and seals the deal of being a total entertainer. If this movie was to be made in a TV series – I bet, Indian TV serials would have something to compete for. 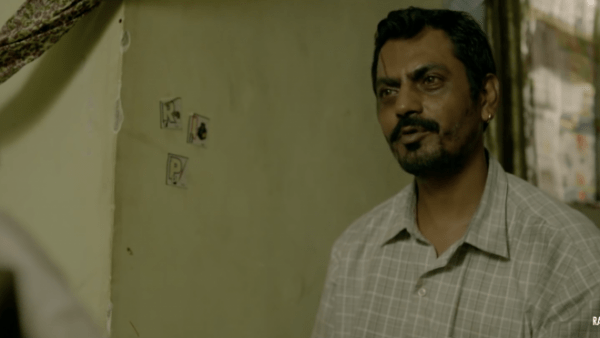 The story, one of the best till date can be twisted and turned in every way possible and REALLY made into a long lasting TV show. 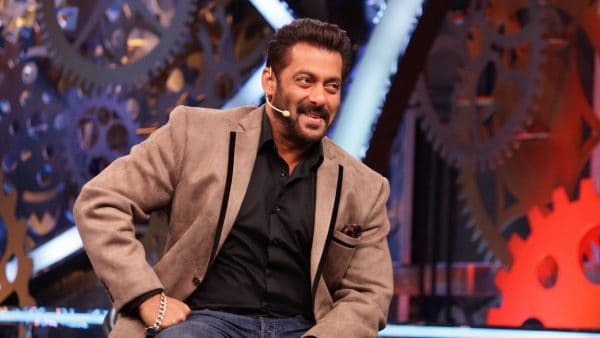 Right from the illiterate, masochistic politicos from the hinterlands, to the faithful Luca Brasi like bodyguard who always lingers on the periphery – everyone has put their hearts out and the director has moulded their hard work into an excellent movie. This one just spills blood, the right amount. I don’t need to give any verdict. My review was itself a verdict which shouts out loud that this ‘return’ fits your money bill and can’t disappoint! Never had thought that Jimmy will make me walk out in awe. Mahie gill is bollywood’s pride. After Dev D, this one just established her as a ‘lambe race ki ghodi, daude thodi thodi’. I so agree with you. having seen the prequel to the movie, i enjoyed watching the the sequel more. I saw the movie at waves cinema since i used its easy online booking. Liked the twist and trns in the movie. Good work. Thanks kareena 🙂 good u agree with the review.